The Quarter Quell is approaching! And here are the brand new outfits the new pack of Tributes will don while they fight to the death, in the Hunger Games sequel. 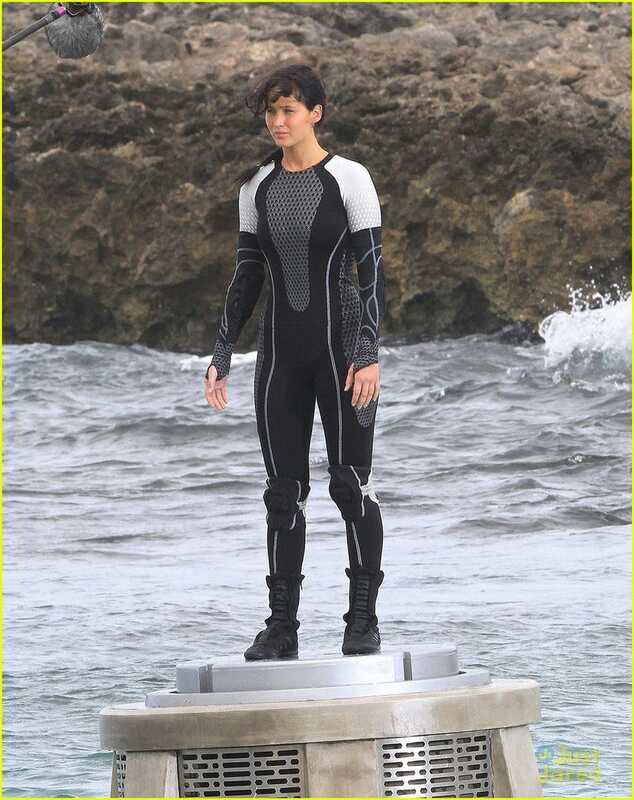 While filming Catching Fire, a bunch of tributes were spotted in their new duds. Thanks to Just Jared we've got a batch of new Catching Fire pics including our first real action shots of Katniss, Peeta and Finnick Odair! From what we can wager this is the beginning of the Quarter Quell, given that all the tributes appear to be standing on their podiums. As you probably know from the book, the past victors are forced to return to the Games for the ultimate superstar death match (hence why Peeta and Katniss are back). What do you think of the fancy new tribute clothes?